Kasaila: Took MCP to task. The ruling Democratic Progressive Party (DPP) has labelled the Malawi Congress Party (MCP) as failures for being too critical of President Peter Mutharika. Amidst incessant verbal wars between the two parties, DPP’s spokesperson Francis Kasaila says it is time for MCP to join hands with government. In her reaction, MCP Publicist, Jessie Kabwila in an interview with Malawi24 on Sunday, said that it was unfortunate for the Kasaila to say that to the media. Malawi is for us all ,who tald yu that others can not rule this country? Dont b selfish oky! Why are you troubling yourselves dancing in a tea spoon? if MCP will not rule in 2019 then who will rule? We have already discovered the tactics you used steeling votes. We will meet. We’re tired of you. Ask the chief electrol that: who won in 2014. They will tell you, b4 speaking such madzelamphuno. kkkk mukulamulira koma mukungutuwa nd umphawi a lomwe kudalira zolandra kumakamanga mmbali mwa mtsinje. mukuona kuchedwa kuti ma floods abwere to get paid hahaha!! This could be true. And its not a guarantee that bcoz kamuzu developed malawi in 30yrs and that the now mcp can also do the same? I doubt! Kamuzu had his own ways. So you rigged the Elections not to develop the country and give the poor Malawians their basic needs but to block MCP from ruling again Mr Minister ????? UDF is swallowed by your cardet party are you telling Malawias that you came into power to destroy hard fought Democracy of which your party leader did not contribute anything .?? Shame on you and your low iq. yes if not MCP then its another party but not dpp to hell with that party!!!! Wakhungu amanamizidwa ndi amene amawona. Koma akangodziwa kuti akunamizidwa amasintha kosabwerera mmbuyo. Ndiye tikukuwonani mudzatha ngati chipani cha mdyomba. MCP is clueless, it is meant to be on the opposition side coz of its cursed leaders. Chakwera did run away from God are we really expecting it to rule this country? And ndi mfundo yanji ya nzeru yomwe a MCP anapelekapo yoonesadi kuti it can rule this country? I don’t see him being a leader of this country, the man is crueless if he is able to take orders from JB, what more from donors? DPP yatikwana kodi mwalamula zaka zingat 2019 ikuchedwa paja kwasala zaka ziwiri et takhala ngat tili ku prison nanga zaka zikuchedwa kutha……. Most lomwes are flocking to central region to seek food from mcp supporters. Then who is ruling mw? It is the people who will decide who they want to rule them not DPP, after all they come into power by accicedent. For How Long Is Kasaila Been Involved In Politics.Don’t Cheat Us.We Don’t Even Have An Intention Of Seeing His Face.We Are All Suffering Together With Ppl Who Voted For U.
kwali vinu ivo!! wachewa vs walomwe!! ise chete!!!! !…waryanganga warya nkhuku!!! Mcp sidzalamulirabe or mutukwane! Munalandira red card ng’ooooooo MCP? this is a foolish conclussion. this man is busy dancing any tune dpp can make to receive money. Its true, how can they win if they dont rig the elections. However in reality so far it is the better side to vote for. It’s true dat mcp will never rule dis country again. Olo mtanena kt MCP sizalamlapo,dzikungofanana ndinu a DPP,palibe Chimene mkupangapo,mkumangoba ndalama zaboma,Kumadyera pa mitu ya ana amasiye. I thought we are people and not God,is Kasaila God of Malawians? Bwana kasaila you are not god to judge .come 2019 you be suprised anthu atavotera chisiru china . Kasaila Is Right! No Room 4 Mcp Come 2019. No one knows the future of somebody,it’s only mulungu. Kasaila Wakumanya Yayi Icho Wakuyowoya Panji Titi Ngwakufuntha. Mbali yanga ngati Mmalawi sindikuona Malawi wa mtsogolo akulamulilidwanso ndi MCP ayi!!!!! And ndikuona chigumula mu MCP come 2017 to 2018 believe me!! There will be a big breakup that will result DPP to gain more momentum than before!!!!! Kasaila wawo ndalama za misonkho zimazunguzatu mutu ndiye plus ma ARV eee!pepa bwanawa. Remember Dpp wone by 36%. now where is the 64% mr kasayila? Kasaila was speaking out of political zeal.we dont need these assertions in a democracy, still in its infancy in our country! these statements breed more hard facts: has he forgotten that udf said it has never lost an election bcoz dpp and pp are mere offshoots! does he know that udf was formed by mcp members who were part of the regime but left en masse? on the claim that mcp has no experience of running govt! that was a hard and fast one and if applied across the political spectrum.malawi is for all of us to manage! no one has a monopoly of a chance or mandate to govern. Who is Kasaila? is he God? ankadziwa kuti JB angakhale president ndindani? mukakhuta musamatisokosele mwava? Owoo chifukwa choti iwo amatha kibela ma vote? Man MCP sigula galimoto zoyendera speaker or leader of opposition ndi boma limagula. Pita ukaone yemwe anapanga approve kuti galimotozi zigulidwe. does DPP rules well than others? Pa ujen pake kasairayo. Mfiti yodya matewera. I agree with Hon. Kasaila. As researcher I have gone round and concluded that MCP has clueless leaders behaving like activists and not a powerful political party. Kabwira is the one spoiling the party. The cornerstones have been broken and any political party with a vision can win the next elections. MCP had the likes of Kachaje and Kaferanjira who tried to guide koma esh! Mbuli zophunzila zachuluka. After all asamaname kuti ali ndi vision ya Kamuzu chifukwa anthu a Kamuzuwo mchipanimo awaika kuchikuto. Zipani zinazitu zilinso ndi wanthu amene anagwira ndi Kamuzu and they can develope on that. MCP yatha! Last time you were saying Tembo and now you are saying Kabwira. You dont have valid reason to hate MCP. So who will rule if not mcp?Myopic way of thinking plus blind royalty to your puppet leaders!! iweo ndiwe mbuli muzimvetsetsa khani momwe ili. Kkkk akuyendalayo ndani? 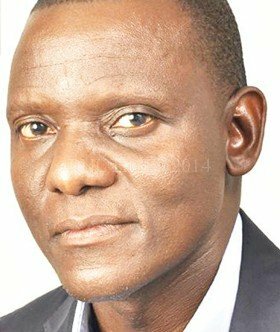 Iwenso ndikufunse kodi ku america inapita ndi DPP kapena boma? Musaiwale anthunu ukamamuloza mzako ndi chala chimodzi ziwa kuti zinayi zikuloza iwe so becareful! MCP ndi agogo nde mungayembekezera agogo kubereka? Si mwikho kapena kuti maloza amenewo? Chilungamo chimawawa, but that’s the real truth. Mcp kudzangowina,makadi pompo pompo,anthu kuyamba kumangidwa #nyakula komanso zipani zina zonse zidzathetsedwa.chenjerani ndi #agalu amcp!!!!!! Who are you to judge , kasaila ? You are not God judge! You are too young! And note this: many Malawians are suffering because of ulamuliro wankhanza ndi wodzikonda ngati momwe mukuchitilamu. Malawi can’t develope with this mindset. More over all regions tikuvutikira pamodzi whether ruling as well as opposition! Can’t you see mr? Dzukaaa! Kwaachaaaa! Who knew dat JB will be our president? Becareful Kasaila u’ll soon disappoint God.Who r u 2know ur 2morrow? Galuyi akuti mcp sizalamulanso ngati khalidwe lake likakhala lomweli,,,! Iwe ndi mbuzinso eti moti sukumvabe? it’s only God who knows the future of Malawi not Kasaila. That’s a view from one voter out of about ten million voters. Can his word hold any water. What a myopic leader? Shame On U Kusaira And Ukuwona Ngati Anthu Angavoteroso Dpp,mantha Ndi Mcp Kma Mwayambira Kutali Kkkkk Chakwera Woyeeee!! mcp only old party in malawi and it will remain the old one tii 200 years. Zozalamulila iwalani kaye. Whether MCP will never rule Malawi or not, Malawians will continue to suffer including those supporting the ruling party. For instance, people of Phalombe will remain poorer than their counterparts in Kasungu. This is a fact! Only God can tell but people we know nothing about God’s plans so control your mouth the future is unpredictable. The Democratic Progressive Party (DPP) will be disappointed come 2019. We have see PP member killed himself before 2014 results were out. There is growing support for MCP everyday. Kasaila always meet members of his party. We meet members of all political parties in our locations, in public transport, in funerals. We know who will win. Iweyo ndimulungu,mmesa unagwanayo kuti ukhare speaker wanyumba yamalamuro? Thus true yes or nT.